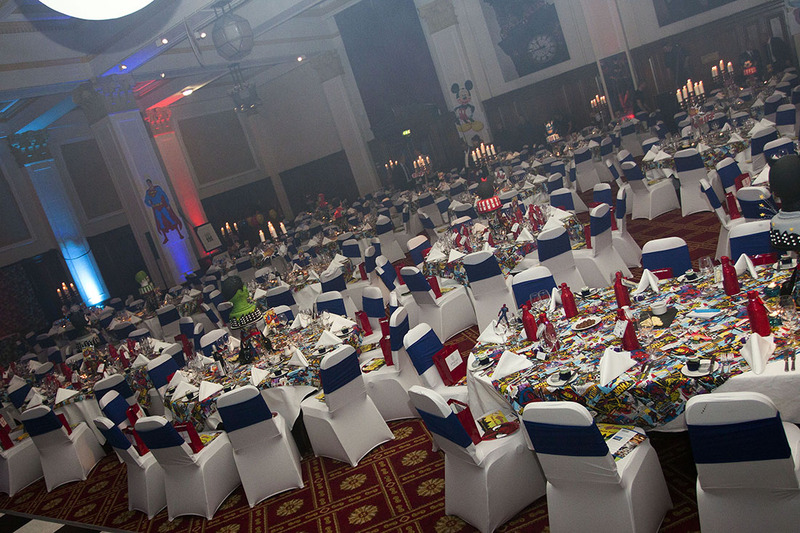 On Saturday 5th July, Simon Gregson hosted his annual charity ball at The Palace Hotel, Manchester. 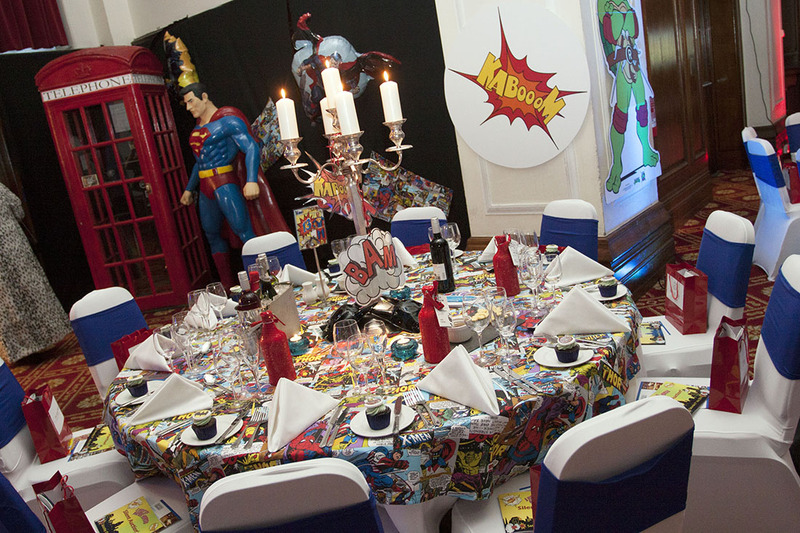 A Night of Superheroes was an evening filled the world of superheroes, action heroes and cartoon adventures. 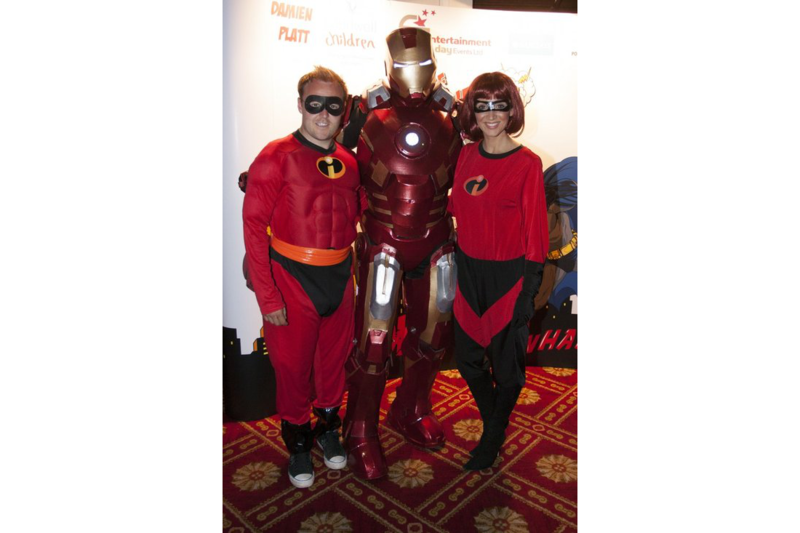 Simon’s Coronation Street co-stars, including Antony Cotton, Kym Marsh, Amy Kelly, Krissi Bohn, Brooke Vincent, Jimmi Harkishin, Katy McGlynn and more turned out in force to support Simon in his quest to raise funds for two special causes: Caudwell Children and Damien Platt. Damien has been diagnosed with terminal melanoma and it was Simon and his wife Emma’s mission to send adrenaline junkie Damien to Florida, the theme park capital of the world. A holiday of a lifetime which tops Damien’s bucket list. It was Ashley & Dawn Ward, who generously pledged to send Damien on his trip to Florida. 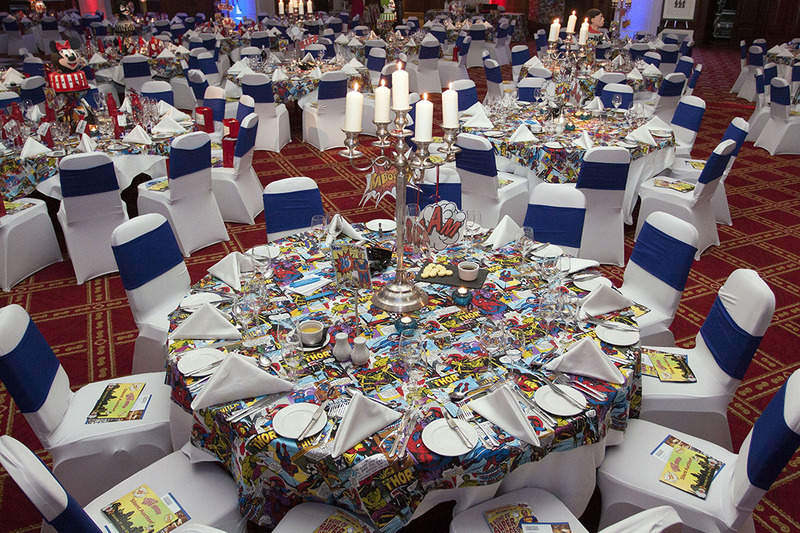 Guests were entertained by girl vocal group, Lashes, before being wowed by the transformation of The Palace Hotel’s Grand Rooms, which transported guests into the pages of a MARVEL comic greeted by real-life Iron Man and stars from page and screen. 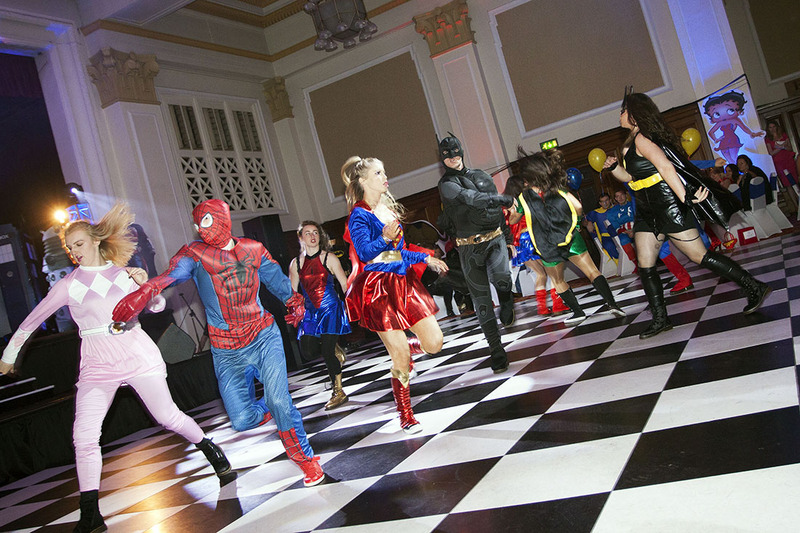 The event, put together by Cheshire based events company Entertainment Today, was opened by dance troupe MD Productions who launched an evening packed with glittering entertainment and surprise performances. 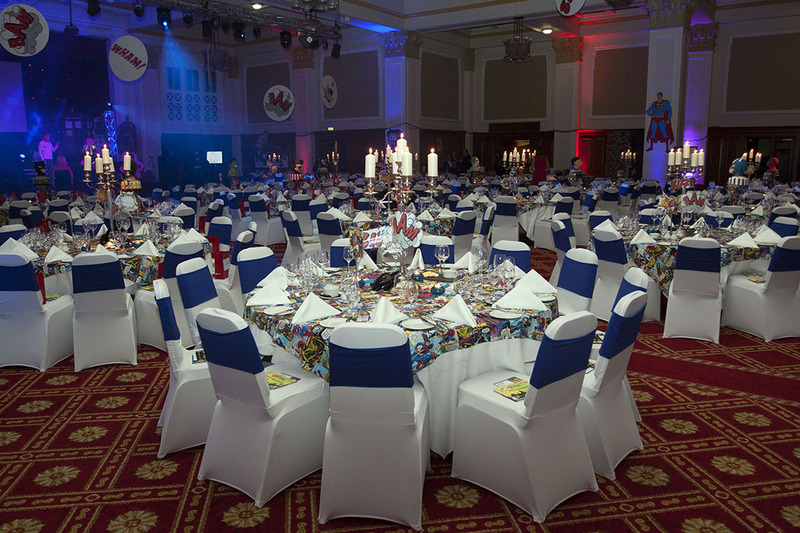 Kym Marsh gave a heroic rendition of Bonnie Tyler’s Holding Out for a Hero and Mick Miller also entertained the crowd with his hilarious Noddy act. Scott Wright, Ewan Sim, Christopher Maloney & Kym Marsh’s daughter Emilie Cunliffe gave incredible vocal performances before an amusing routine by Britain’s Got Talent semi-finalists Faces of Disco who made some familiar faces dance like never before! Music Hall Tavern closed the show with a dazzling performance giving a sneak peak of their new stage show touring this year.